Discussion in 'Cross Country, All Mountain & Trail Riding' started by FreeRide-Junkie, Mar 19, 2008. I flat-spotted my rear 517 on a nasty little g-out log gap during a race last year and need to replace it. I don't know if I want to track down another 517 (or very similar Mavic rim) or go with something completely new. It MUST have a brake track as I am running rim brakes. It MUST be 32 hole because I am not selling my King hubs. I would like the option of running tubeless. I have looked at the Stans rims bu other than that don't really know where to look. (DT, Mavic, Sun, etc.) I have always hunted rims for DH or DJ bikes so I don't know much about the XC race market. I would like ANY suggestions. Don't limit them by price at all because the bike does have a very nice build on it. If an expensive rim will be hands down better than a cheaper one I can spend the cash. Let me know what you guys are riding, have ridden, and would recommend. Isn't that a heavier rim though? 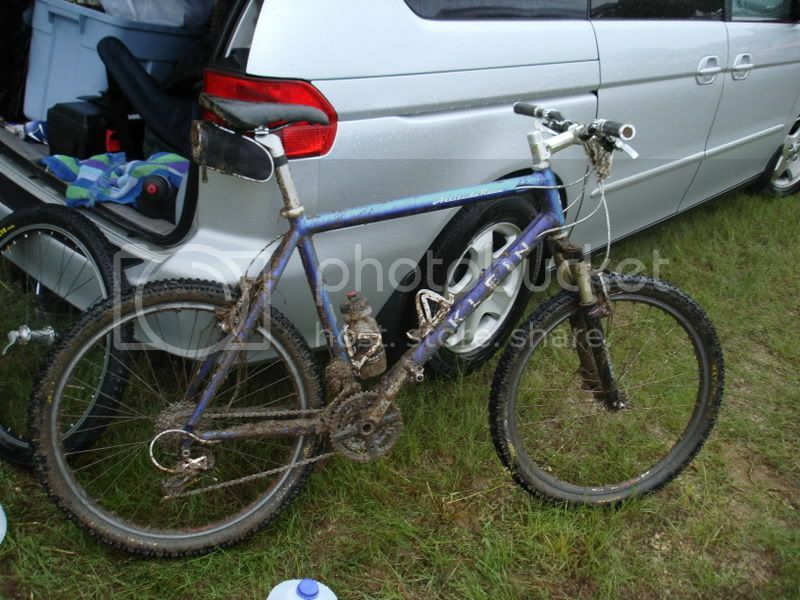 I am concerned about weight since it is my race bike. A local wheelbuilder holds the DT rims in high regard. Those whould be what I would rock if I were in the market for a wheelset.